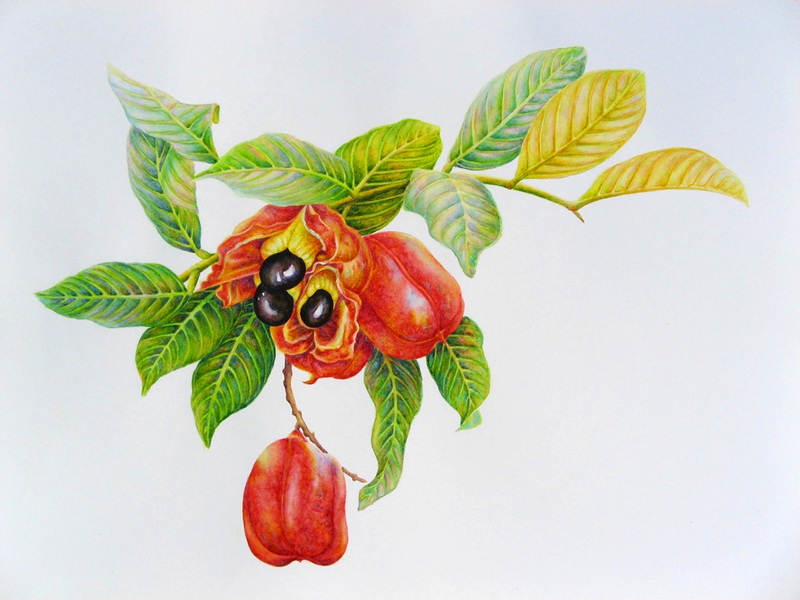 I have painted the national fruit of Jamaica “Ackee” several times now, however in this case I was inspired to paint them from a more “botanical” approach in order to really capture the delicacy of the fruit and leaves of plant. I have always thought it to be a rather attractive fruit and I love the colors and textures of the pod and the fruit itself. The leaves also provide quite a wide range of green and yellow shades. This arrangement seemed to work for the botanical study that I was aiming for. This is a limited edition of 250 giclée prints on watercolor paper. The original painting has not been sold.